I just received my Popsugar Must Have box for December. It shipped very late this month, but they still tried to get it delivered to everyone before Christmas. 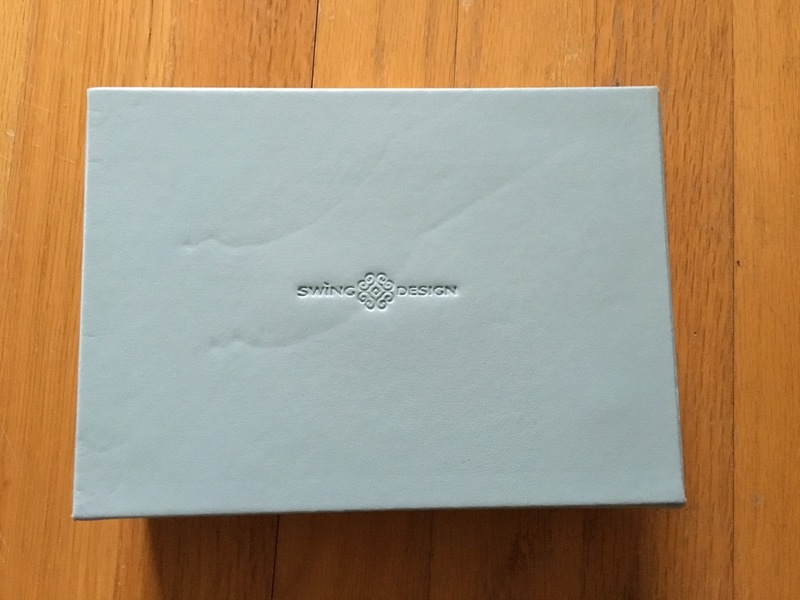 When I looked at spoilers I thought this looked like a good month and was excited to see the box in person. Popsugar Must Have always includes an information card. This month's inspirations were Celebration, Holiday Glamour, New Year's, Indulgence, Chocolate, and Sparkles. 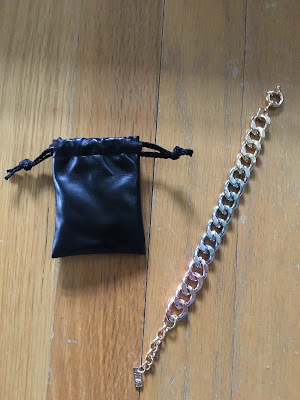 The first item in the box was Luv Aj The Rose Gold Ombre Bracelet. Retail price $65. This was designed for Popsugar and has a mix of silver, rose gold, and gold. It's perfect to match all my jewelry! I wear all metals, so I really like this. It is chunky, but not overly chunky and fits my small wrists perfectly. I wasn't too crazy about the packaging, but I'll be keeping this for myself, so wasn't too concerned about it. If I was gifting this, I would have liked it to come in a box. I wouldn't have paid the retail price for this bracelet, but I like it for the price of the subscription! The next item was Stowaway Cosmetics Creme Lipstick Trio. Retail price $30. These are small sized, so you can use them before the expiration date and they'll fit in the smallest bags for the holidays. 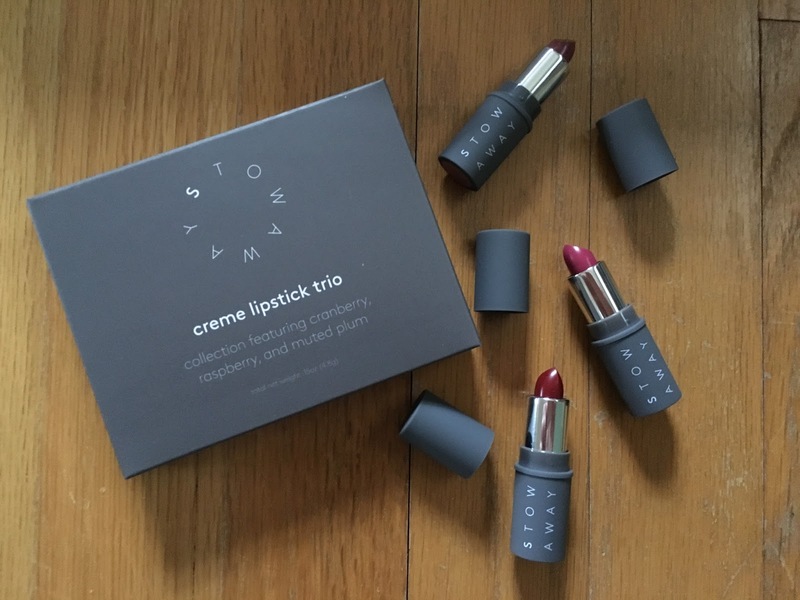 We received cranberry, raspberry, and muted plum, which are all perfect for the holidays. They are very pigmented and quite bright. I'll need to have a bold moment to wear these. I never feel like I can pull off bright lip colors. They do feel soft and smooth on your lips and I really like the formula of them! 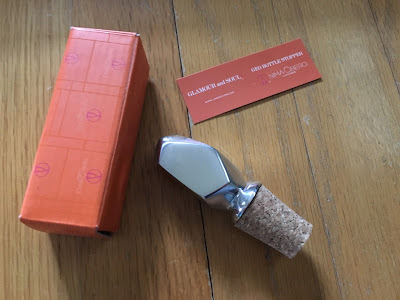 I also received a Nima Oberoi Lunares Geo Stopper. Retail price $24. This wine stopper will be perfect for entertaining through the holidays. It will be a pretty touch for the wine bottle between drinks. And this was designed to not tarnish or break! It's very pretty and hefty in person. It'd also make a great gift with a bottle of wine. 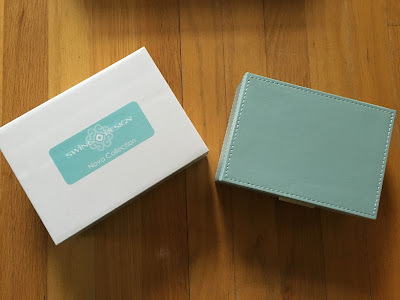 My favorite item in the December box is the Swing Design Nova Blue Mist Jewelry Box. Retail price $36. This was made exclusively for Popsugar and I love the pale blue color with white stitching. 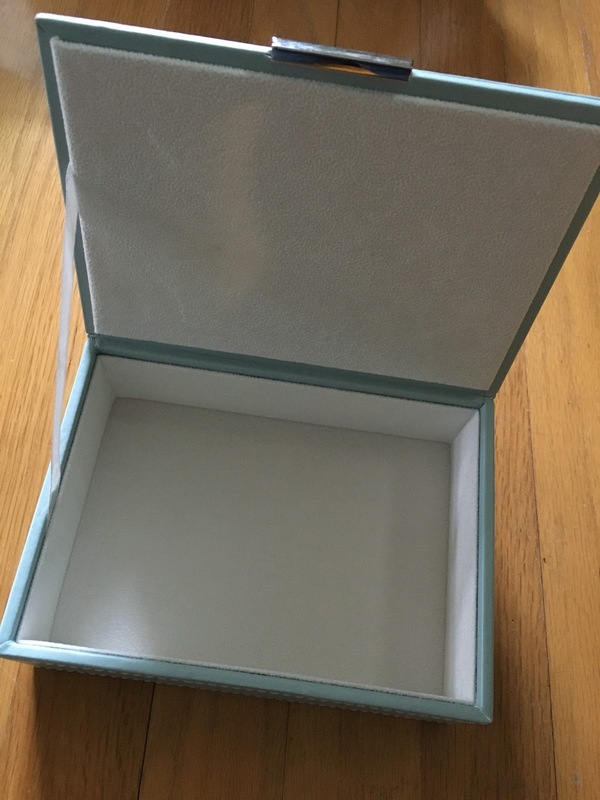 It will match my decor beautifully and I love displaying these types of items on my dresser. I was so happy when I saw this in the spoilers! And it's even nicer than I expected in person. It is lined with suede and embossed with the brand name on the bottom! 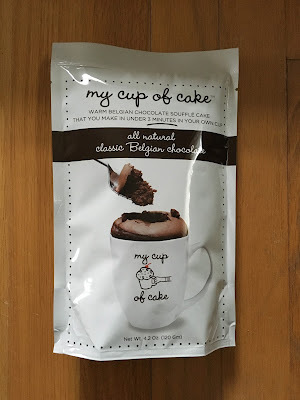 I also was excited about receiving My Cup of Cake Classic Belgian Chocolate. Retail price $5.99. You can make a cake in a mug in just 3 minutes! I love this, and can't wait to try it. It looks delicious. I wish it came with the cute mug shown on the packaging! Another item included was Meri Meri Silver Stars on White Glitter Tape. Retail price $4. 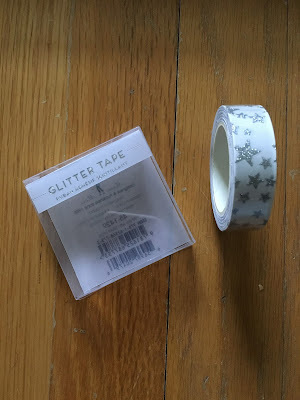 This is very pretty tape with silver stars. I'm basically done with my wrapping, but this will be pretty for any occasion, so I'll be saving it to add some sparkle to gifts! The special extra included was Tiny Prints Gift Tag Stickers + $20 promo card. 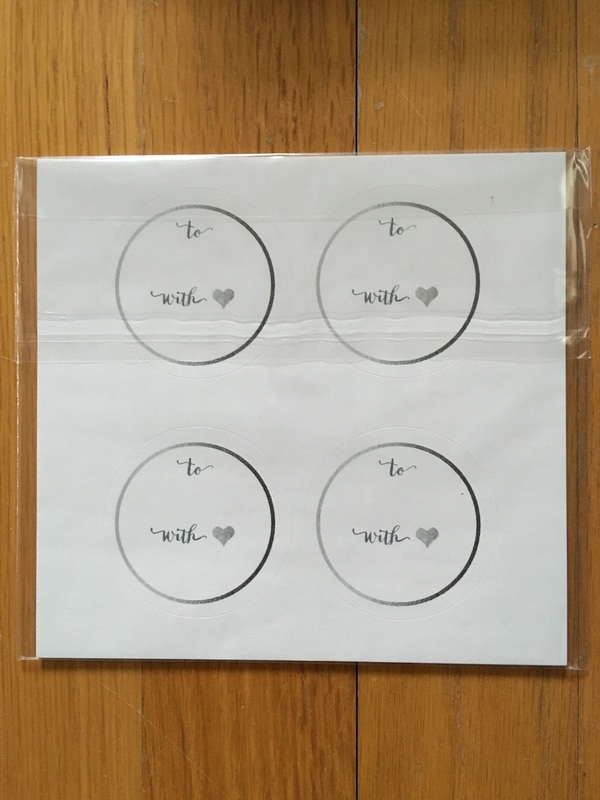 The stickers are really cute for gifting and are not specifically for Christmas, so I'll be saving these too. I actually already bought gift stickers from Tiny Prints earlier in the season. These are great! 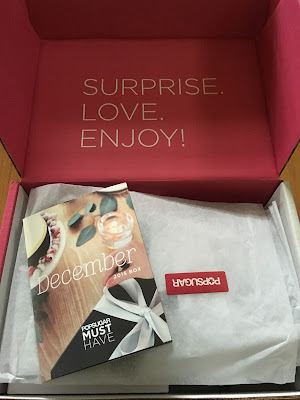 I really liked the December Popsugar Must Have box. 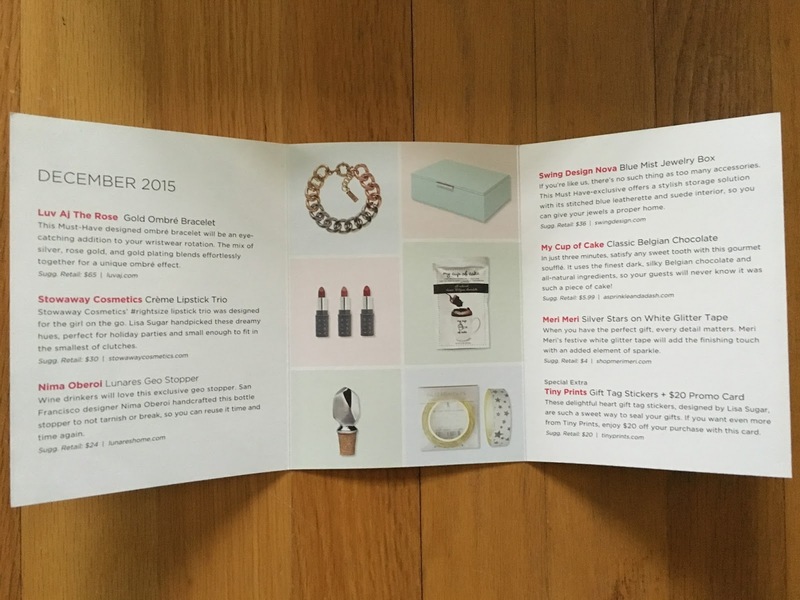 It felt festive, but included products you could use all year long. I can't wait to see what they send for January. I also still have the Holiday for Him and Holiday for Her boxes to open, but we are saving them for Christmas Day and I haven't looked at spoilers yet, so I'm excited to see what is in them!! !